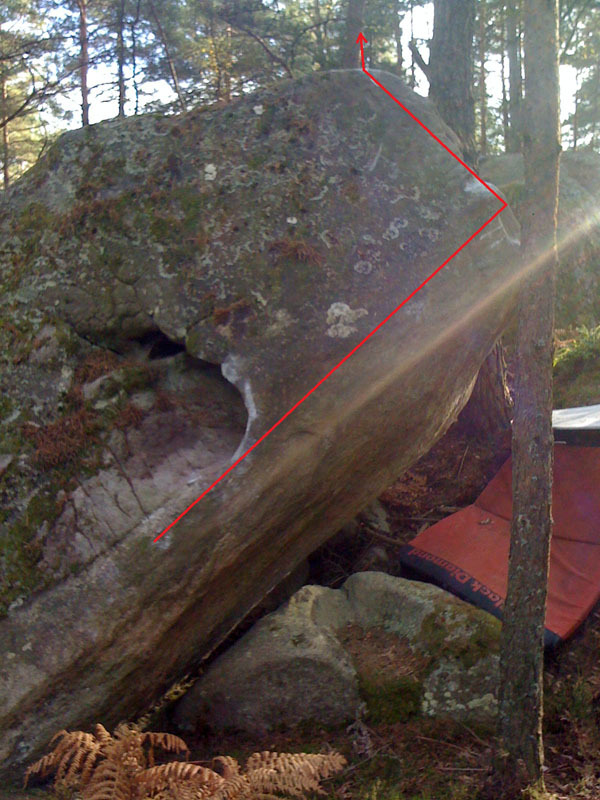 Two boulders to the right of La Magie du Cosmos, near the character "G", along the blue path. Start to the left with the good hold left hand and climb the arete. Access: from the parking lot of La Faisanderie and La Route des Gorges de Franchard, take La Route Henriquez to the left up the slope and follow the blue path on the right (20 minutes). It is also possible to start from Le Carrefour des Gorges de Franchard and follow directly the blue path (15 minutes).